The Education Ministry has started to improve the quality of education in Cambodia’s top five universities after the World Bank agreed to provide $90 million to fund higher education reforms. Speaking at a workshop on reforming the higher education system yesterday, Education Minister Hang Chuon Naron said that the World Bank in July approved the $90 million and the government is putting in $2.5 million to finance efforts to improve the quality of higher education. 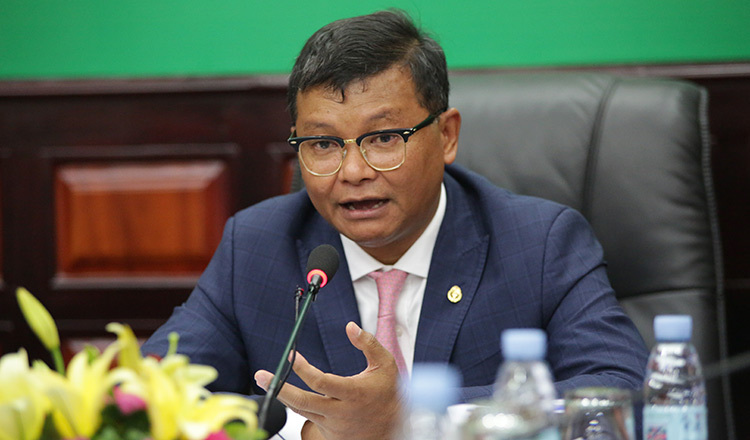 He said that the reforms, under the Capacity Improvement Project, will be implemented in the Royal University of Phnom Penh, University of Agriculture, University of Cambodia Technology, Svay Rieng University and Battambang University. “The reform of higher education will focus on improving teaching methods, the quality of teachers, the teaching syllabus, upgrading varsity buildings, dormitories and quality of equipment,” Mr Chuon Naron said. The project aims to achieve these goals over the next six years and will focus on science, technology, engineering, mathematics, otherwise known as STEM, and also agriculture. Mr Chuon Naron added that the government is giving high priority to the project to improve the quality of teaching, learning and research, strengthen quality assurance systems, and governance and management in higher education. “In addition to STEM and agricultural education, the project will also focus on improving the quality of research by financing the construction of laboratories and equipment upgrades,” he said. Chhang Lavinn, a former student of Royal University of Phnom Penh, yesterday said that she is happy that education at the state university will undergo reforms in its study programmes and teaching quality. “The next generation of students will get improved quality education, which is up to date with technology and modern teaching methods,” she said. Inguna Dobraja, the World Bank’s country manager, said in April that building high quality research capacity and preparing a critical mass of highly skilled graduates of tertiary education is a priority for both Cambodia and the bank. He said these actions can help Cambodia upgrade its human capital and strengthen the effectiveness of higher education. According to an Education Ministry report last year, 207,434 students, 48.37 percent of whom are women, are studying in higher education institutions in the country. It said there are 121 higher education institutions located in 20 provinces, 81 of which are managed by the ministry and 60 by the private sector.